Earth has a few more near-twin planets outside our solar system, tantalizing possibilities in the search for extraterrestrial life. Astronomers have announced that depending on definitions, they have confirmed three or four more planets that are about the same size as Earth and are in the not-too-hot, not-too-cold "Goldilocks Zone" for liquid water to form. These planets are likely to be rocky like Earth, and not gas giants or ice worlds. They get about the same heat from their star as we get from the sun, according to the latest results from NASA's planet hunting Kepler telescope. But don't book your flights yet. They may be close to Earth in size and likely temperature in the gargantuan scale of the universe, but they aren't quite close enough for comfort. 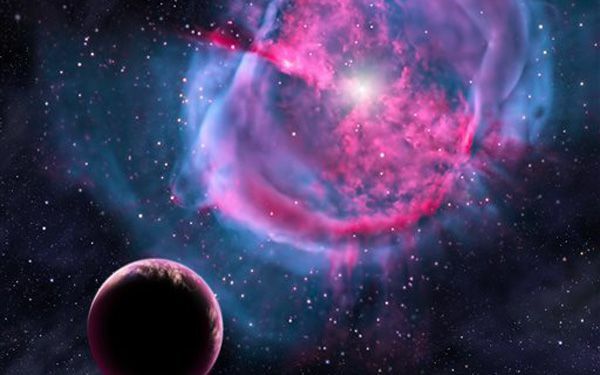 Consider two of the new planets, the nearest to Earth discovered to date. 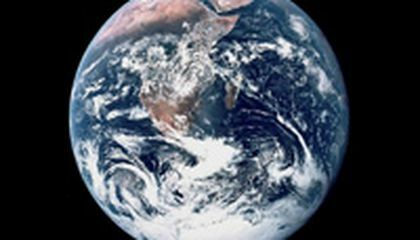 If they have atmospheres similar to Earth's a big if one would be a toasty 140-some degrees and the other would hover around zero, said study lead author Guillermo Torres, an astronomer at the Harvard-Smithsonian Center for Astrophysics. Life conceivably could evolve and adapt to those temperatures, he said. Oh, and they aren't actually within commuting distance of Earth. Those two are 500 and 1,100 light years away. A light year is 5.9 trillion miles. What's important, said SETI Institute astronomer Douglas Caldwell, a study co-author who presented the findings at the American Astronomical Society meeting in Seattle, is that astronomers are a bit closer to finding twins of Earth and answering the age-old question: Are we alone? "These planets do exist. We didn't know that before," Torres said in a phone interview from Cambridge, Massachusetts. "What we're really looking for is signs of life eventually. We're not there yet. It will take many years but this is the first step." Torres' team confirmed earlier discoveries and added new ones, bringing the total known number of planets that are no bigger than twice Earth's size and in the habitable temperature zone to eight or nine. But that's only from a short search of a small part of our galaxy, so Torres believes that Earth-like planets are common throughout the cosmos, though he cannot prove it yet. Torres likes to include one planet that would bump the new findings from three to four, but Caldwell said that planet may or may not be habitable. Torres and Caldwell highlighted the two new planets that are closest in size to Earth. The closest, called Kepler 438-b, is only 12 percent larger than Earth and gets about 40 percent more energy from its star than we do from the sun, so it would probably be warmer, Torres said. It tightly circles a small cooler red star with its year lasting only 35 Earth days and the sun in its sky would be red, not yellow. It may be hot, but "there are bacteria on Earth that live very comfortably in those temperatures, no problem," Torres said. The other, Kepler 442-b, is about 34 percent bigger than Earth but gets only two-thirds of the energy from its sun as we do, Torres said. NASA also announced that its planet-hunter telescope confirmed its 1,000th planet outside the solar system, most quite unlike Earth and not in the habitable zone. Added to those discovered by other telescopes, astronomers have now discovered more than 1,800 planets that are outside the solar system. Critical thinking challenge: Why are scientists so interested in planets that are not-too-hot or not-too-cold for liquid water to form? Which forms of life can live without water? Scientists are so interested in planets that are not-too-hot or not-too-cold for liquid water to form so they could know if life can survive on those planets. If the planet has no liquid water on it, the planet must be cold enough to freeze that water so no life form could live there. Animals need water to survive in the Earth, so if there is no water on a planet, then life wouldn't be possible. If there is a planet with water, then there could possibly be life on said planet. I think it would be cool if their was more life out in the Earth like planets. The only problem is that the planets are between 500 and 1100 light years away. I think that there is most definitely life outside of Earth. Somewhere, some place, there just HAS to be life. Even if we havent found it yet, because there is still so much more SPACE to look, no pun intended lol. This article is about life on other planets. It is possible that on some other planets, life could evolve. Scientists have found a few other planets that are not too hot or cold, and could conceivable support life. I think that that would be really interesting. This would be cool have another planet like earth. Maybe our astronauts can explore the planet and see if any life forms live like human beings. That question has been asked since I was born. Everyone wants to know if there is life outside our world. I personally think there is. I mean that huge universe, I am sure we aren't the only ones in it. I have always been a person that is interested in this kind of stuff. It would indeed be fascinating to find that there is another planet like earth that is habitable. In the story one of the scientist said 'this is just the beginning' and I believe him. there are many technologies now days that we can use to scan the universe to find similar planets to earth. Its unbelievable how large the solar system is for a light year is 5.9 trillion miles, and the similar planets to earth are either 500 light years or 1,100 light years from our planet. Scientists are interested in planets that are not to hot or not to cold, because then liquid water could form, and then it could possibly support life. Kemotrophic organisms could live live without the sun because they feed off of chemicals.